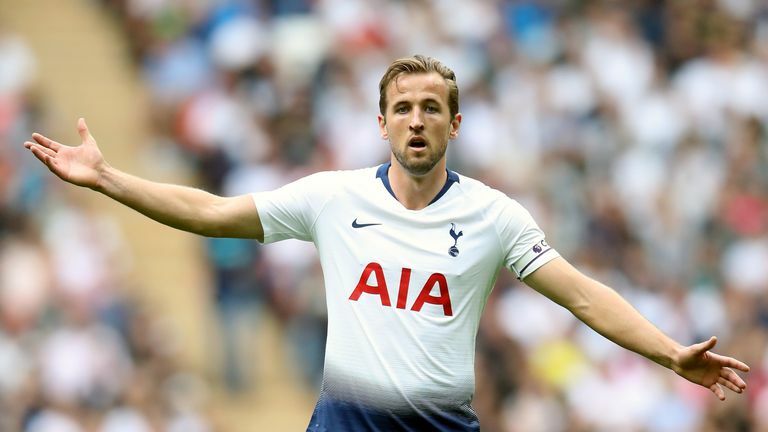 Tottenham striker Harry Kane says he is aiming to topple Lionel Messi's goalscoring record, ahead of Wednesday's Champions League match against Barcelona. Messi, a five-time Balon d'Or winner, has scored 560 goals in 646 appearances since making his Barcelona debut as a 17-year-old in 2004 and is the leading scorer in La Liga. Meanwhile, Kane has scored 162 goals in 284 appearances during his eight-year career but remains optimistic he can reach the heights of the 31-year-old, whom he will go toe to toe with in Wednesday's group game at Wembley. "He set the standard, he and Cristiano Ronaldo have gone above the normal standard when they are scoring 50 or 60 goals a season," said Kane. "As a striker I want to try and match that. He's definitely set the standard for the rest of us and he still is. "It motivates me to get even better and improve and hopefully one day score as many, if not more than he has. "It's a great test for us. As players, you want to play against best in world and Messi is certainly that, a fantastic player, and we will do our best to stop him." Barcelona's domestic form has slumped with Ernesto Valverde's side failing to win in their previous three La Liga matches, in a run which saw them lose to then-bottom of the table Leganes. But the Catalans looked in imperious form as they thumped PSV Eindhoven 4-0 in their first group game and Kane insists Tottenham need to reproduce the form they showed in last season's group stages if they are to compete with Europe's top teams. "We got off to a great start last season, beating Dortmund at home. It was not so great to lose to Inter this time around," added Kane. "We've got to prove we can beat the best teams in the world and we need to do that against Barcelona. it would put us in a great position. "We went through a stage where we didn't win in three matches and maybe a bit of pressure starts to build. "I'm sure Barcelona want to bounce back but it's our chance to stop them and win four games in a row, which would be great momentum for us."